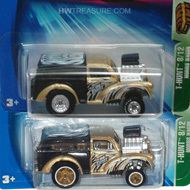 9/12 from the 2004 Treasure Hunt series. The black and satin green Whip Creamer II boasts white graphics and “T.H.004” on the sides. 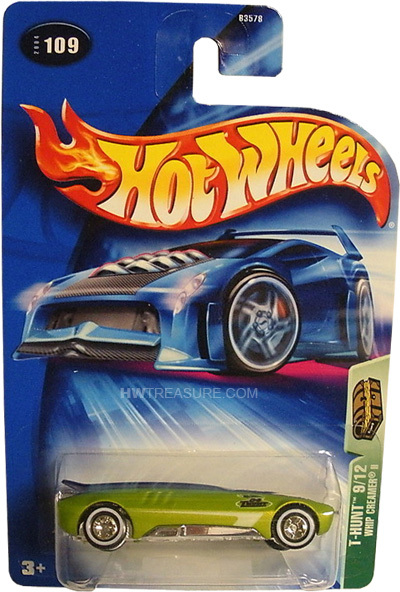 The hood has white and green graphics and “HOT WHEELS” in white. 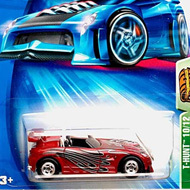 It has tinted windows, chrome interior, Deep Dish Real Rider wheels with white line tires, and a chrome plastic Malaysia base.